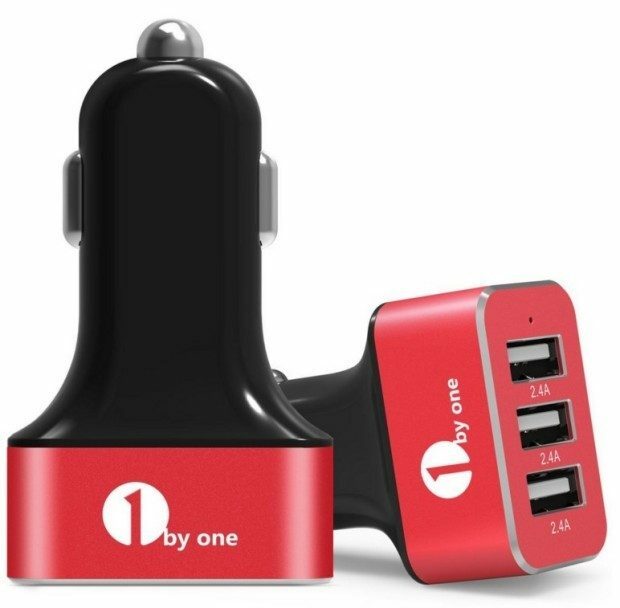 1ByOne 3-Port USB Car Charger Giveaway! 10 Winners!! 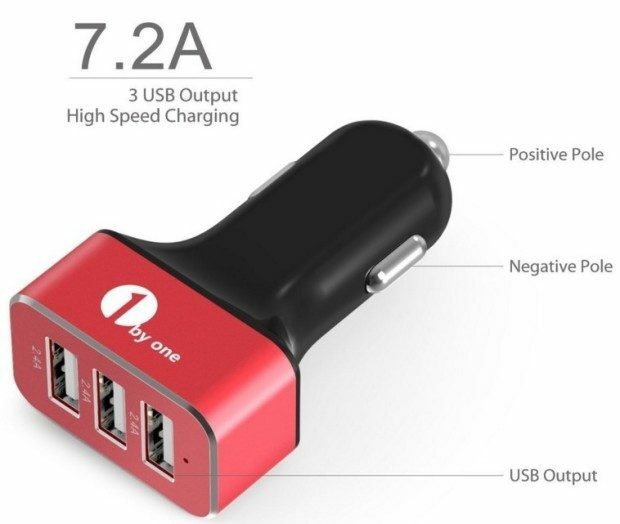 You are here: Home / Expired / 1ByOne 3-Port USB Car Charger Giveaway! 10 Winners!! I am so excited to bring you this giveaway from 1ByOne! 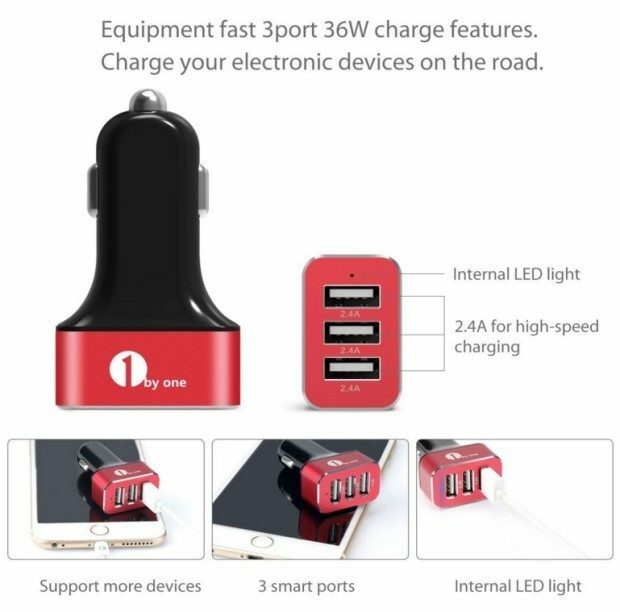 10 winners will win a 3-Port USB Car Charger! Top Performance – Smart IC chip intelligently communicates with connected devices to maximize both compatibility and charging speed (up to 2.4 Amp). Multi-Output – DC 5V 7.2A, compatible with iPhone, iPad, iPod, Samsung Galaxy, HTC, Android Smartphone, GPS, Pads and all other digital devices with 5V input. Safety First – Intelligent Circuit Design protects against over-heat, over-currents, over charge and short circuit. CE, FCC & RoHS Certified guarantee. LED Light – Internal LED power indicator is build-in. The dimmed LED indicator helps visualize the connection status and does not distract you while driving. Compact Dimension – 65 x 37 x 23 mm, fits nicely into the recess and firmly into power socket to make sure your digital devices are always charged. Theses are valued at $22.99 each! But, you can win one by entering with the Rafflecopter below! These sell on Amazon and have a great rating and customer feedback! 1byone – We Can Make It Better! 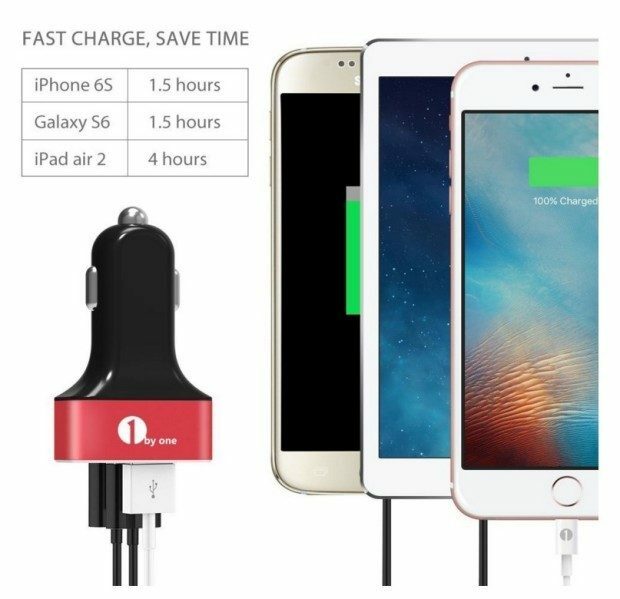 1byone car charger is equipped with intelligent technology on all ports to identify each attached device and provide the highest charging power that the devices can adapt to. Features 3-Port 7.2A / 36W USB, it can charge any 3 tablet or smartphone devices at the same time. Made of top-grade aluminum alloy, fast charge chip, fashionable design. Use cowling to keep temperatures low, ensuring stable working conditions, long life time and a low-temperature charging environment. Automatically stop charging when there is a danger of overcharging or lower / over voltage to prevent damage to the batteries from overheat, over current, and overcharge. Notice: Not compatible with DC 24V cars. Please start the car first, then insert the car charger and connect your devices. Here at 1byone, we stand by our products 100%. This car charger comes with a 12-month guarantee. If any issues arise, we will happily send a replacement on us. Satisfaction is our number one priority, at 1byone. One thing I appreciate about 1ByOne and why I feel good about sharing their products is their commitment to customer service and their 12 month satisfaction guarantee! Be sure to share this giveaway with your friends, too! Remember there will be 10 winners! Also, leave a comment below and let us know you’d like to win! 1ByOne would also LOVE, if you are a winner, if you could leave an honest review for them on Amazon once you receive and use the product. 10 lucky winners will receive 1 3-Port USB Car Charger each! I would love to win one of these! With four daughters, all with phones, a road trip always gets aggravating when phone batteries go dead! It’s usually my phone that doesn’t have room to be plugged in! Lol! Btw, I tried to pin the image on pinterest, but it wouldn’t load the image through your link on the sweepstakes entry.